The purpose of this exercise is to teach your dog the meaning of the word "come." It is the first of many steps in teaching your dog to come. The reason you are teaching your dog to sit in front of you is so that you can easily reach down and restrain him. 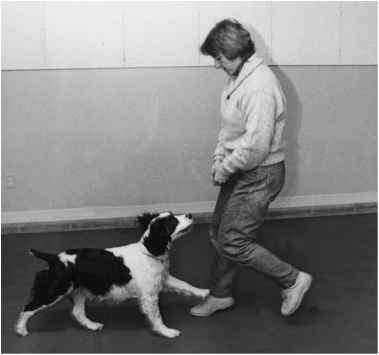 Many people lunge and grab their dogs when they get close, inadvertently teaching their dogs to play keep away. Have you ever seen an owner and dog playing this game? The owner stands very still, hardly breathing, waiting for his dog to come close enough to be grabbed. When the dog gets close enough, the owner lunges. 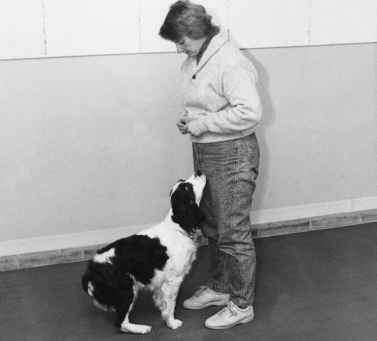 Since dogs have a well-developed ability to perceive movement, they see the grab coming and dart away. Then the game starts over, with the owner waiting frustrating amounts of time for their dog to come close again. Teaching your dog to come and sit can prevent this. Begin teaching this exercise indoors. Start with your dog sitting in front of you. Since he is inside, he doesn't need to be on leash. Hold both your hands in front of you with a piece of food in them, at your dog's nose level. Give your dog a command to come in an inviting tone of voice. Back up quickly about four steps. 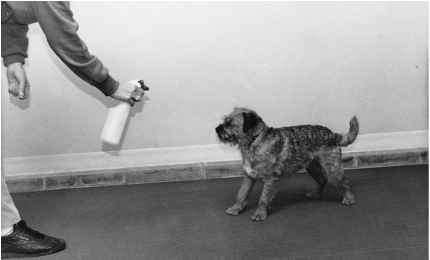 Backing away takes advantage of your dog's instinct to chase. Use the food as a magnet to keep your dog in front of you. As you stop, bring the food up to signal your dog to sit and give the sit command. You should give the sit command and signal a moment before you stop so that your dog has time to slow down. Praise, reward, and release. Do not touch your dog to get him to sit. You will know he is getting the idea when he sits automatically without your having to tell him. After a few steps, stop and bring the food up to signal your dog to sit as you give the sit command. Once your dog is doing this well in the house, try it outdoors. Of course, have your dog on leash if you are in an unfenced area, but try to keep the leash loose. Don't use it to guide the dog in any way. You want the food, not the leash, to control your dog.